For many religious nonprofits, drafting bylaws is one of the steps involved in officially forming the organization. However, the IRS may recognize a church as an exempt nonprofit even if the church is not incorporated and does not have bylaws. If you choose to incorporate your church at the state level, the laws of the state may require the organization to draft bylaws. Just like any other type of nonprofit, churches must follow the laws of the state throughout the incorporation process. The Internal Revenue Services automatically recognizes certain churches as tax-exempt nonprofits, meaning that the church does not have to pay federal income tax and donations to the church are tax-deductible for the donor. In order to be considered a tax-exempt nonprofit by the IRS, the church must be organized for a religious or charitable purpose, which may be reflected in the organization's bylaws. The income of the church must be used to promote its religious and charitable purposes and not for the benefit of any individual member of the church, apart from reasonable compensation for work performed. Additionally, the IRS bans exempt churches from participating in political activity, such as lobbying or intervening in political campaigns. However, the IRS may recognize a church as exempt even if it is unincorporated and does not have bylaws. Churches have the option to incorporate at the state level. The specific steps for incorporation will vary depending on the state where the church is located. Generally, churches decide to incorporate because it limits the liability of individual members of the church. Without incorporation, if the church goes into debt or is successfully sued, the assets of individual members may be used to pay off the church's debt. The laws of the state may have certain requirements for incorporated businesses, such as requiring a board of directors or bylaws. Many churches draft bylaws for the organization, either by choice or because state law requires it. Bylaws set the internal rules for how the church will be governed. The provisions may serve to resolve conflicts that may come up between the members and also may provide some form of consistency if the church is taken over by a new group of people. 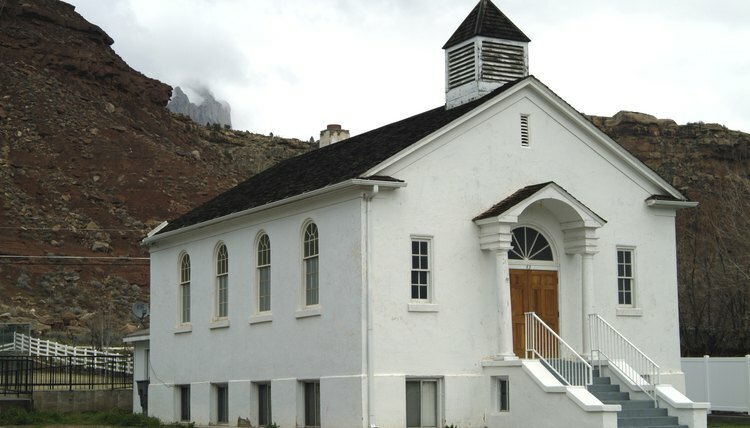 Bylaws must be in compliance with state law where the church is located. For example, state law may require the appointment of a president or secretary; thus, the bylaws would include a provision detailing the process for appointing individuals to such positions. Often the bylaws of a church will combine the legal requirements of the state's corporate law with religious doctrine, with the ultimate goal of representing the beliefs and structure of the organization. For example, many church bylaws contain a statement of the church's purpose and doctrine or statement of faith. In accordance with state law, bylaws often contain provisions addressing the minimum and maximum number of board members and the method for adding or removing members. Some churches also include provisions regarding whether or not the church may limit employment opportunities within the church to those who share the same beliefs, if permitted by state law. When you think of a "nonprofit," you likely envision an organization that provides a public service, such as feeding the hungry, and accepts tax-deductible donations. However, this is only one type of nonprofit entity. A mutual-benefit nonprofit is a type of nonprofit corporation that works for the betterment of a select group of members, rather than for the benefit of the public. Ministries are often operated under the guidance and nonprofit status of an affiliated church. When structured in this manner, the ministry does not have the financial independence to raise money from third-party entities such as foundations, government agencies and corporations. For recognition as an independent financial entity, a church-affiliated ministry or new ministry organizing for the first time must incorporate under a state nonprofit incorporation statute, following the same procedures as any new nonprofit organization. Some churches will spin off a ministry into a separate nonprofit entity but maintain control over the new organization by populating the board of directors with church officials. This enables the ministry to establish financial independence for fundraising purposes while still maintaining a close affiliation with its governing church.